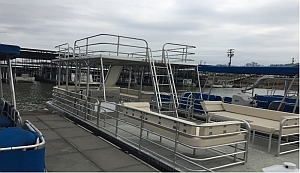 Fate Sanders Marina offers 25 and 30 ft. Pontoons for your boating pleasure. All of our boats are powered by four stroke engines. All pontoons come with a lake map, anchor, and life jackets. 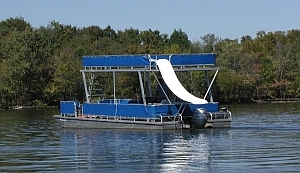 To reserve a boat you must call and pay in advance with a credit card.